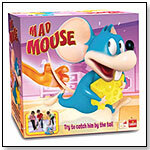 Mad Mouse from Goliath Games is here. It’s a silly game, perfect for silly 3-4 year olds. The kids chase the mouse and try and be the first to catch him by the tail. Whoever catches the mouse claims the cheese and lets the mouse go. And the chase begins again. In honor of the occasion, come in and see our Mr. 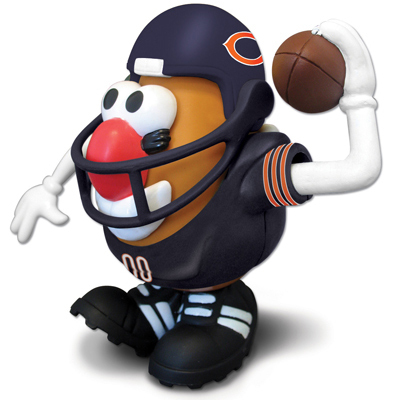 Potato Head Sports Spud. He’s wearing an authentic Bears team jersey, and he has interchangeable arms and face parts. It’s a great gift for any age Bear fan. GO BEARS!! Posted in Uncategorized. Comments Off on BEARS WIN!! Do you have a birthday coming up? Come on in and make a wish list for your friends and family. We’d love to help you find special toys and games. And we’ll help you pick out goody bag items. any amount of money to our Big Belly Bank toward a book. Halloween Costumes 2010 from Aeromax, Princess Paradise, Puppet Workshop, Little Adventures, and more! Check out our video of some of the costumes that we have this year. There’s even more in our stores and we can special order other sizes and styles if we don’t have what you want. Posted in Uncategorized. Comments Off on Halloween Costumes 2010 from Aeromax, Princess Paradise, Puppet Workshop, Little Adventures, and more! We have our costumes on display in both stores now. And we are already selling them!! Come in while there is a great selection. Pictures will be posted here soon!